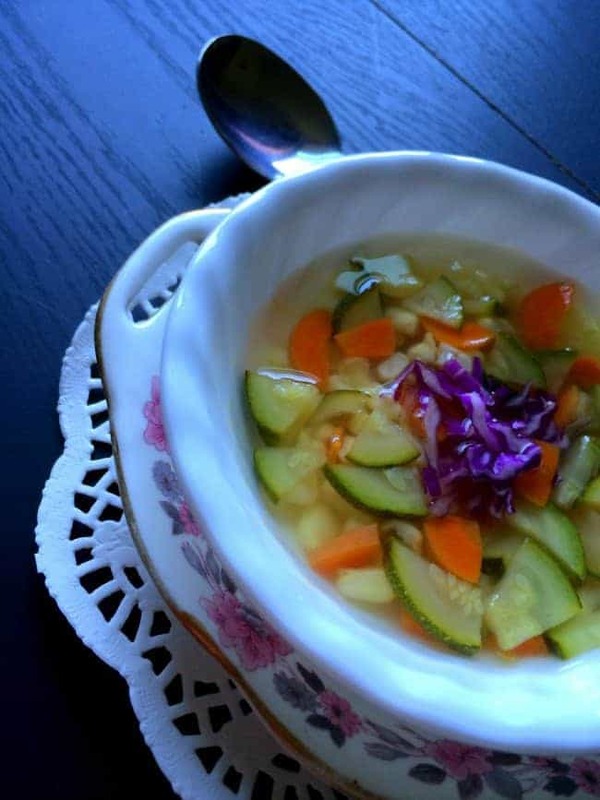 Winter Vegetable Soup (Healthy & Glutenfree) is a hearty combination of health and taste. Winter Vegetable Soup is a perfect mix of colorful winter vegetable with herbs. 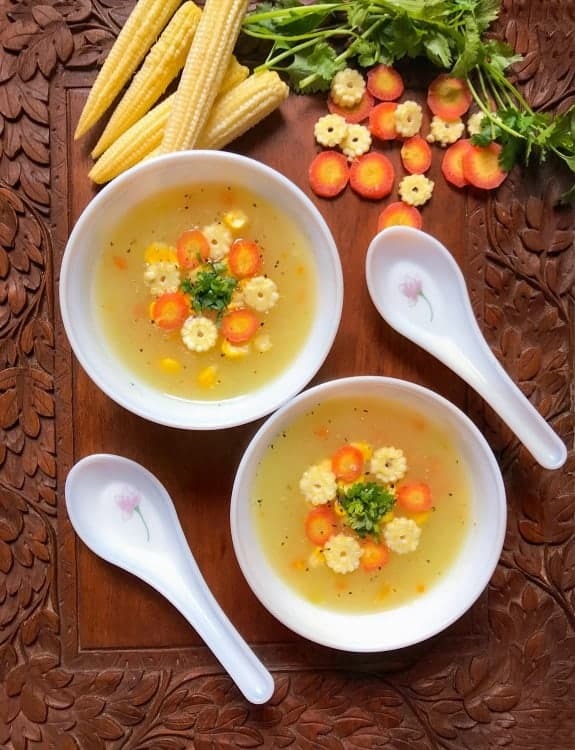 Today I wanted to share with you’ll my favorite goto Winter Vegetable Soup (Healthy & Glutenfree). It is extremely easy to prepare and you can use all those leftover vegetables in the fridge before your next grocery purchase. I’ve used the seasonal winter veggies like zucchini, carrots, pumpkin and few more along with herbs like bay leaf, cloves and a little bit of thyme. You can add or reduce any of these seasonal winter veggies and use the ones you like the most. However, I’d insist, you keep the herbs unchanged for healing benefits. Always, place the herbs in a muslin cloth and make a knot. This way, you can get all the flavors of the herbs and they don’t show in your soup. This is a great tip, if you have a picky eater and they don’t like seeing herbs floating in the soup. 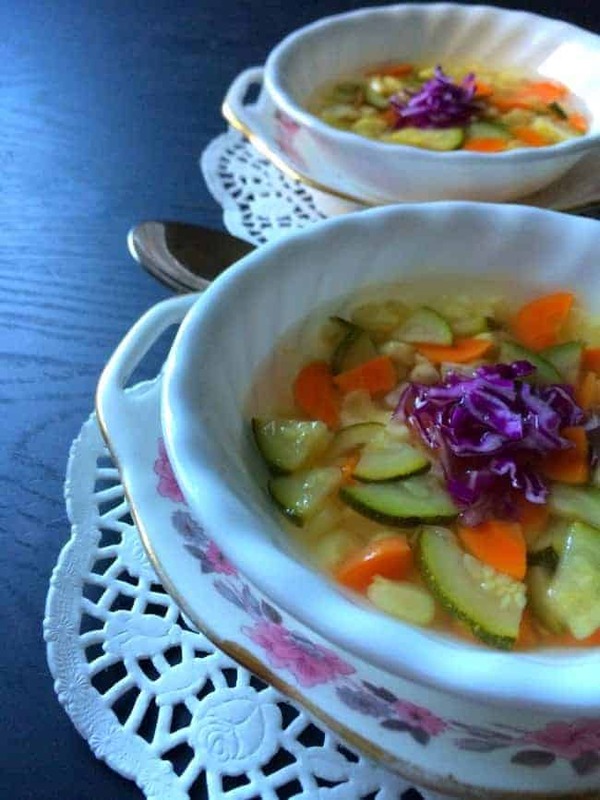 All the vegetables used in this soup are fresh but you can use frozen vegetables too. It can be made in a big batch to serve as an appetizer or pair it along with some toasted bread for a complete meal. You can make it a day in advance. So go ahead and enjoy this warm winter vegetable soup. 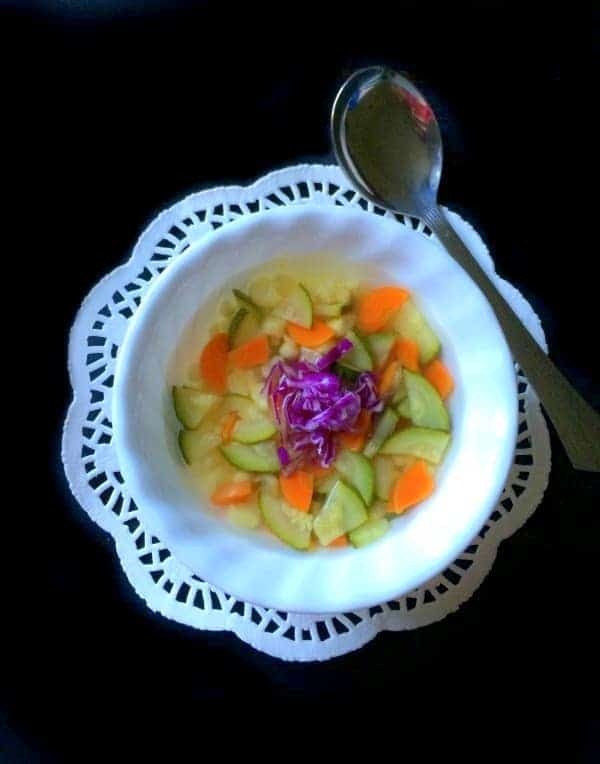 Winter Vegetable Soup (Healthy & Glutenfree) : Hearty combination of health and taste. It's a mix of colorful winter vegetable along with flavorful herbs. Place all the herbs in muslin cloth and tie a knot. In a deep pan, heat butter for 1/2 minute. Now add the the muslin cloth containing herbs, salt, pepper and water. Cook this over low heat for 10 minutes. Turn off the heat and remove the muslin cloth containing herbs. 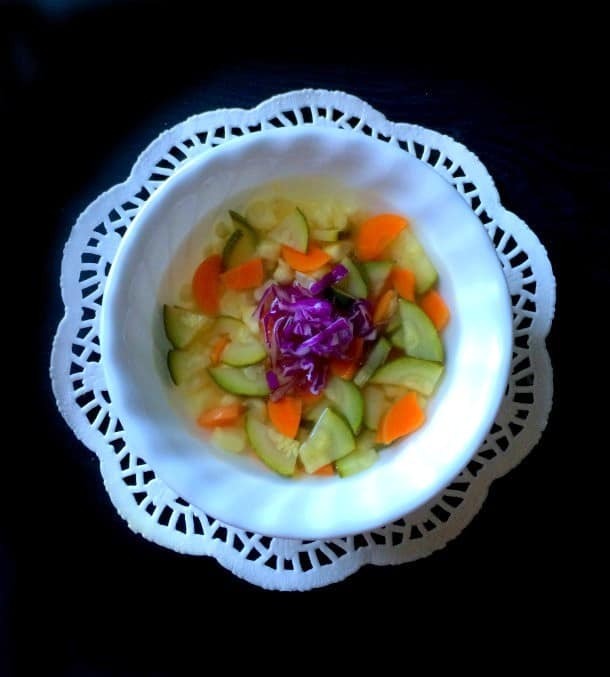 Pour in bowls, decorate with cabbage and serve hot. 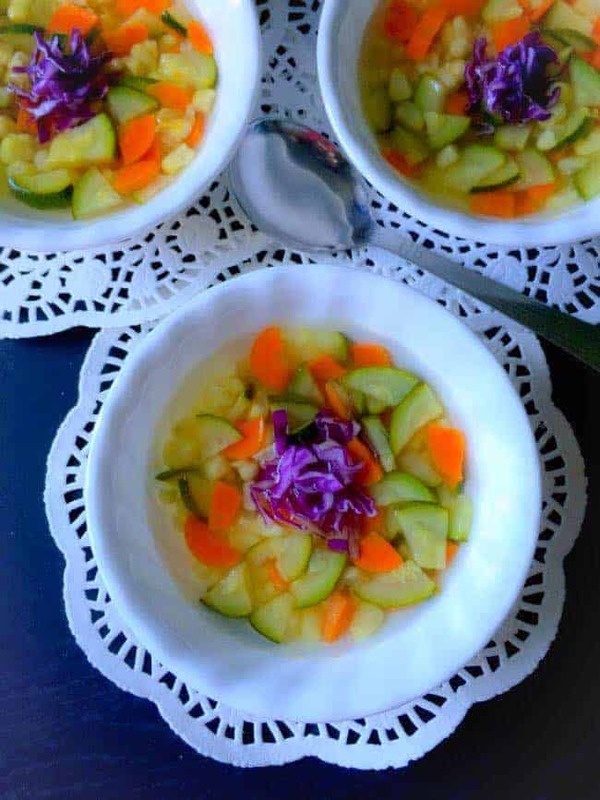 14 Replies to "Winter Vegetable Soup - Healthy #holistic #glutenfree"
I love all the veggies in this, it looks delicious, wish I had a bowl for lunch! 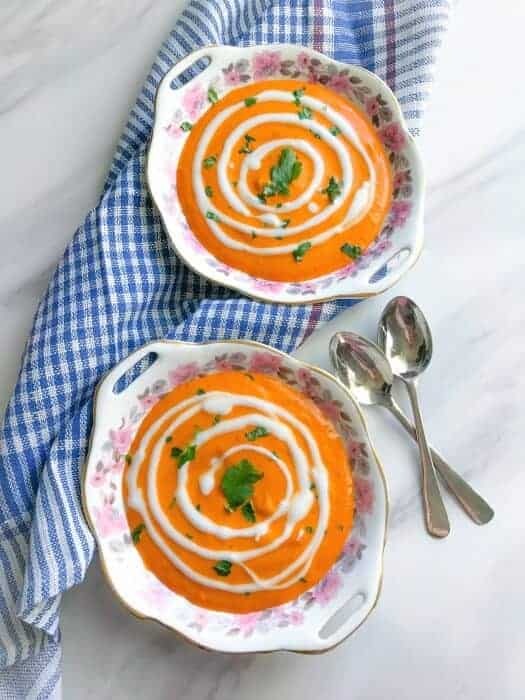 This soup looks so beautiful and delicious. I love the vegetable combination you used. this looks so light and refreshing. i like how its super simple and minimal use of spices. yes tes yes, comfort food for the first day of the week! 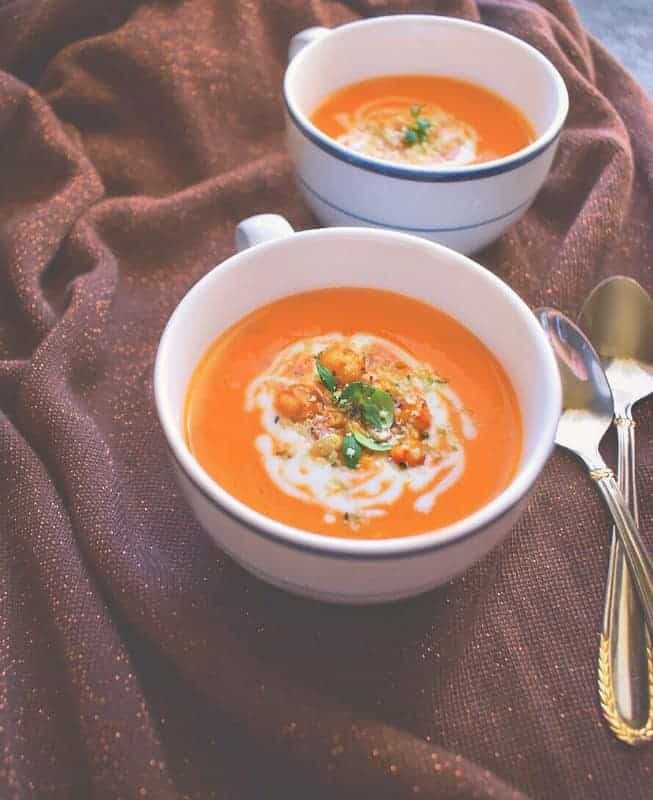 I love soup — anytime of year and this soup looks delicious. I like the simplicity of it but it is so good for you. I especially like the little touch of purple on top of the soup. Excellent photos — after all before we eat we look at the dish!! Hahahha, so true Marisa, we eat with our eyes 😉 Thanks for your lovely comments and visit. Aweee, I wish you a speedy recovery – Thanks for your lovely comments.